Vadim Fedotov is an internationally recognized Ballet Master, Artistic Director and Choreographer. For over twenty years Fedotov performed as a principal dancer with the National Opera and Ballet of the Ukraine, dancing leading roles in prominent performances such as Swan Lake (Siegfried), Giselle (Albrecht) and Sleeping Beauty (Desire). He was the Principal dancer for the Moscow University of Arts (GITIS) for six years. Vadim Fedotov is an internationally recognized Ballet Master and Choreographer. Fedotov studied ballet for nine years at the prestigious Ballet College in Kiev, where he was born. As Ballet Master, Fedotov has taught at many prestigious institutions, including The National Theater of Ballet and Opera in Kiev, Ukraine, as well as the Dance Academy of Ukraine; and was the General Director of the Chamber of Ballet in Kiev. 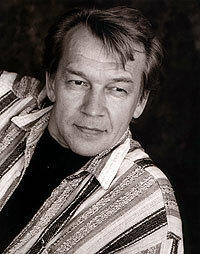 Fedotov has produced numerous films (musicals) in the former Soviet Union and has been awarded numerous professional and state honors including Honor of the Supreme Soviet Council of Ukraine 1985, Honor Artist of Ukraine and Laureate international choreographer for competitions in Moscow and Kiev. Irina Depler, Executive Artistic Director, began her training at the Kiev Choreographic School in the Former Soviet Union and graduated from the prestigious Moscow Institute of Theater Art with a gold medal - the highest honor one can receive upon graduation. Irina danced for over 20 years with the National Theater of Ballet and Opera, Kiev, Ukraine as a principal dancer in numerous ballets including Chopiniana, Carmen, Don Juan, Don Quixote and Cinderella among others. 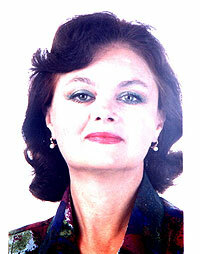 She has also served as Ballet Mistress of many prestigious schools and companies worldwide.